Melvyn Bragg and his guests discuss the Safavid Dynasty, the rulers of early modern Persia, who had a profound impact on the cultural and religious identity of Iran. Melvyn Bragg and his guests discuss the Safavid Dynasty, rulers of the Persian empire between the 16th and 18th centuries.In 1501 Shah Ismail, a boy of fifteen, declared himself ruler of Azerbaijan. Within a year he had expanded his territory to include most of Persia, and founded a ruling dynasty which was to last for more than two hundred years. At the peak of their success the Safavids ruled over a vast territory which included all of modern-day Iran. They converted their subjects to Shi'a Islam, and so created the religious identity of modern Iran - although they were also often ruthless in their suppression of Sunni practices. They thrived on international trade, and their capital Isfahan, rebuilt by the visionary Shah Abbas, became one of the most magnificent cities in the world. 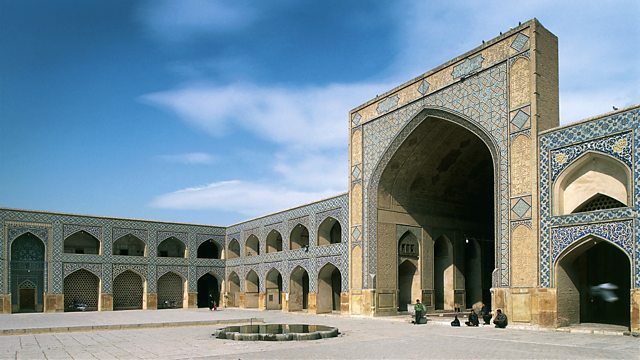 Under Safavid rule Persia became a cultural centre, producing many great artists and thinkers. With:Robert GleaveProfessor of Arabic Studies at the University of ExeterEmma LoosleySenior Lecturer at the School of Arts, Histories and Cultures at the University of ManchesterAndrew NewmanReader in Islamic Studies and Persian at the University of Edinburgh.Producer: Thomas Morris.